Woody Endless Summer is a fun game you can play when you’re utterly bored. 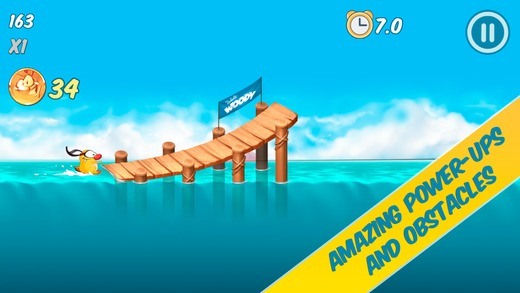 The game is all about guiding woody as he wakeboards across blue seas to reach various checkpoints. The game features a great variety of obstacles in the form of ramps, platforms, islands, and boxes to prevent you from reaching the checkpoint on time! There are tons of coins and powerups to be picked up along the way as well. Plus, you earn goodies when you complete missions and level up as well. All the coins earned in the game can be used to shop for more powerups and items that help you play better in the next levels. 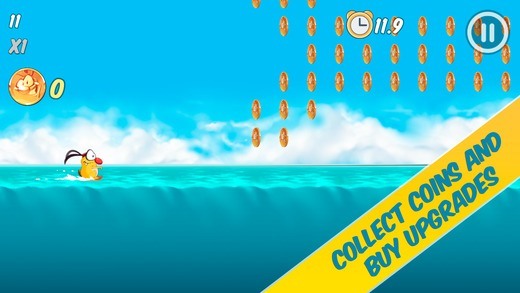 Some cool powerups include the TIME FREEZE that stops the clock, 2X COINS MULTIPLIER that doubles the coins you earn and MAGNET that just brings the coins to you. The game itself is full of life and colors with its cartoony, highly detailed, 2D graphics sure to be a hit with the kids. There’s also vibrant energetic music to keep you motivated as you bump and grind your way through endless levels of fun. The ultimate aim in the game is to reach the top of the global and monthly leaderboards so you can brag about it to your friends. Woody Endless Summer is free to play but also includes IAPs so if you’re letting your kids play the game, make sure they don’t have access to authorize payments. Watch the game trailer and click the link below to download the game.